We had another week of illness, with Conor down this time. But as of today everyone is healthy and ready for some weekend fun! The big event will be putting up most of our exterior illumination (except for garlands)! There is also a Winter Farmer's Market that we'll hit up in search of all sorts of goodies to kick off Thanksgiving week & the entire holiday season! Here's my typical bit of randomness on a Friday: -ONE- Christmas pajamas...for the adults! This year I am eyeing these adorable leggings (which would pair perfectly with this henley). And for Conor, I am loving this one piece... The elbow patches make it all the more amazing! However, Conor already owns a one piece, and I think one is probably enough! -TWO- We spend plenty of time at the library, and every so often we find some awesome books that are worth purchasing to have in our home forever. Really, I just like that library allows me to have a trial period... If I can't handle reading the same book for a few weeks straight, then I absolutely don't want it in our own personal collection. 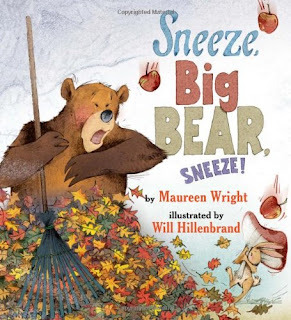 So all that to say, two new library books that I'm loving are Twenty Big Trucks in the Middle of the Street as well as Sneeze, Big Bear, Sneeze! . -THREE- I spotted these baskets at Target and almost pulled the trigger. They would be perfect for holding all those swaddle blankets or stuffed animals. Now I simply need to find a place in my house that needs them and they will be mine! -FIVE- I'm getting so excited for Black Friday shopping!!! But for me, that involves sitting down to my computer and shopping all my favorite small business. I typically hit up Freshly Picked (I love my carryall) and June & January (eyeing that hoodie jumper). And my other go-to shop this time of year is Alpine Baby Co. (for leggings & tees). Keep in mind that some of these small shops start their sales early and sell out quick! I find that following them in Instagram helps to know when all sales begin. as a teacher, i jump for joy when i get a starbucks card!! something about not having to pay for my coffee makes me a very happy mommy/teacher! target gift cards are always another win! i love those pj pants...good find! Thanks Kristin! Hope you & Kenya are still doing well! Ohhhh teacher gifts!!! Thanks for the reminder! :) I saw similar baskets at Home Goods earlier this month, but decided I needed to have a place for them prior to purchasing them. Tis the season for justifying purchases. ha! Do Mormons not drink coffee? Love those target baskets. And, libraries are the best for trails. I found a few books that I had on Aria's book wish list at the library that were duds. Glad we found them there first before buying them. Hmmm you could do another non-Starbucks tumbler (I found a cute gold stripe one in the dollar spot) and fill it with nail polish, a gift card and like a lip balm? I love giving those kinds of gift. And personalized note paper is always a nice gift for a teacher too! I have a mormon friend and she's obsessed with starbucks hot chocolate! I think it could still be a good gift. Plus they can always do decaf coffee :) i love your books you read to your boys. Im having a boy in april and with 2 girls im going to need some boy book ideas ! Here in Utah, most mormons won't buy Starbucks at all (even if it's not coffee), because they wouldn't want anyone THINKING they were drinking coffee! It's all for appearances. I have found a new love for finding small business. It makes shopping way more fun! Love the book suggestions. Some weeks our book picks are much better than other weeks! I have very similar baskets from Target, they just don't have the wooden handle and we attached little hooks so they hang from the wall. I keep the boys' socks in one and shoes in the other. I love your pajama picks :) so comfy and I can't believe that Conor would wear that pajama suit, that's amazing, I don't think Kyle would go for that. Sophie loves having "There's a Wocket in my Pocket" read to her a 100 billion times but refuses to really "read" it herself. Maybe she's too young? Or we haven't encouraged her to read enough,but I'm hoping she'll be into reading soon enough. I am going to add those books to our library list right now! 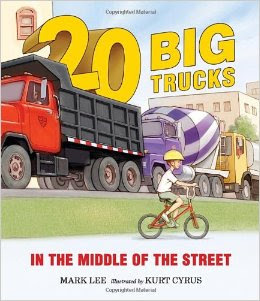 We spend tons of time at the library and truck and seasonal books are always favorites at our house! I love those leggings and those baskets!!! Sooo cute! Love the adult pajamas! I always want to get some for Drew and I on Christmas Eve, but he is not into it. Ha ha! 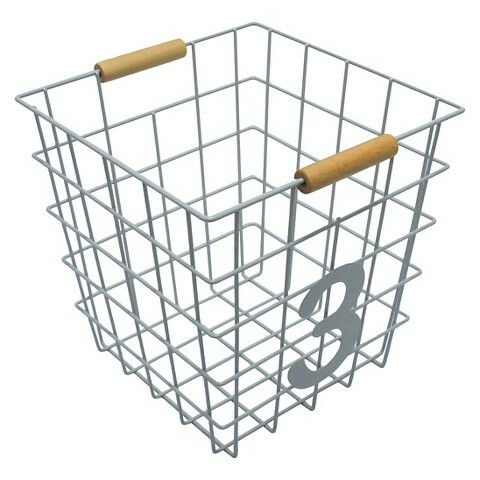 I keep seeing those baskets at Target too and once we are in our new house I think they may become mine. I'm totally with you on the black Friday shopping.. my preferred spot is behind my computer and definitely NOT at the stores... as much as my sister in law and mother in law try to change my mind! Also, LOVING those leggings! I think those are the ones from Gap and while I like them so much more, I found some that are just as cute from Old Navy and just bought 2 today with their 40% off deal going on. Hopefully they are just as cute and cozy! I ordered those Gap leggings on Friday and I cannot wait to wear them! They are the cutest! Oh, two books we don't have!! I will have to check them out! :) LOVE those pajama leggings...I am a total comfort girl at home, so these are right up my alley!! That's kind of funny that you have to think about the teachers being mormon....Starbucks is such an easy gift!